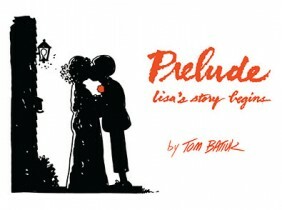 Description Prelude is a collection of the early comic strips that bring Lisa and Les together. Introduced to readers of Funky Winkerbean in late 1984 as she experiences SAT test anxiety, Lisa becomes Les Moore’s best friend and a pivotal character. Les and Lisa go to the prom, begin steady dating, and then break up. Over the summer, Les realizes how much he misses Lisa. When he gathers his courage and goes to her house, he is stunned to discover Lisa is pregnant with a child fathered by a jock from Walnut Tech. Lisa asks Les to be her coach in childbirth classes, and their friendship explodes from there. Prelude takes fans from the early days of their deep friendship through the birth of Lisa’s baby and the baby’s adoption. 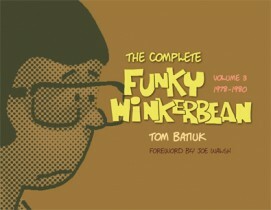 Author Tom Batiuk, who pens the continuing story of Funky Winkerbean and his pals, was recognized as one of three finalists in the cartooning category of the 2008 Pulitzer Prize awards competition for the series of daily comic strips that chronicled the death of longtime character Lisa Moore. 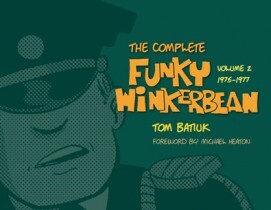 His Complete Funky Winkerbean series and Roses in December: A Story of Love and Alzheimer’s were finalists for the 2016 Eisner Awards. He is a graduate of Kent State University. 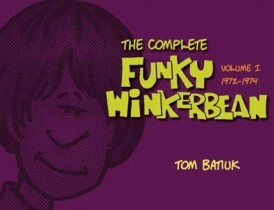 His Funky Winkerbean and Crankshaft comic strips are carried in over 700 newspapers throughout the United States. In 2006 he was honored by the American Cancer Society and presented its Cancer Cure Hall of Fame Award for his sympathetic work in highlighting the experiences of those with cancer in Lisa’s Story: The Other Shoe.